I am confident that you agree with me that hard work should be rewarded. I think my achievements in the last quarter merit a bonus. 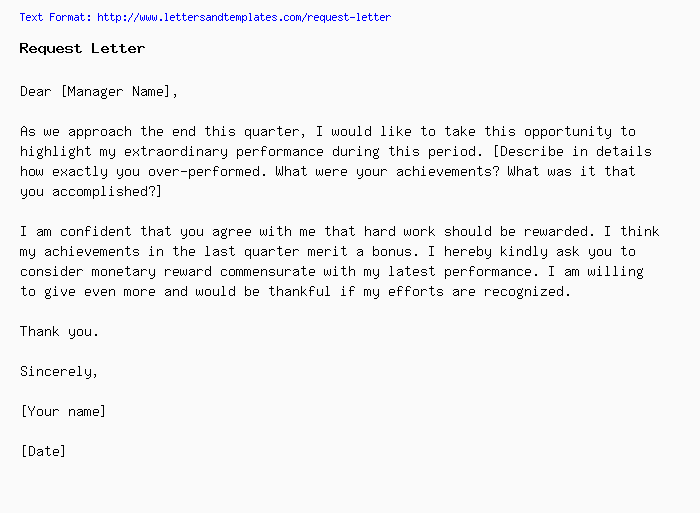 I hereby kindly ask you to consider monetary reward commensurate with my latest performance. I am willing to give even more and would be thankful if my efforts are recognized. [colleague name] will cover for me on that day. Please count this day against my annual leave balance.